Local tells Top 5 best Must-Try restaurants in Arashiyama,Kyoto! Arashiyama is known to be one of the best tourist spots in all of Kyoto. It is surrounded by beautiful nature,you’ll encounter the beautiful colors of nature nurtured by the four seasons of Japan. There are also many good restaurants where you can enjoy not only delicious dishes, but also a great scenery of Arashiyama. It would be great experience for you to have delicious dishes with a great view. I’m happy to share with you Top 5 best Must-eat restaurants in Arashiyama,Kyoto! 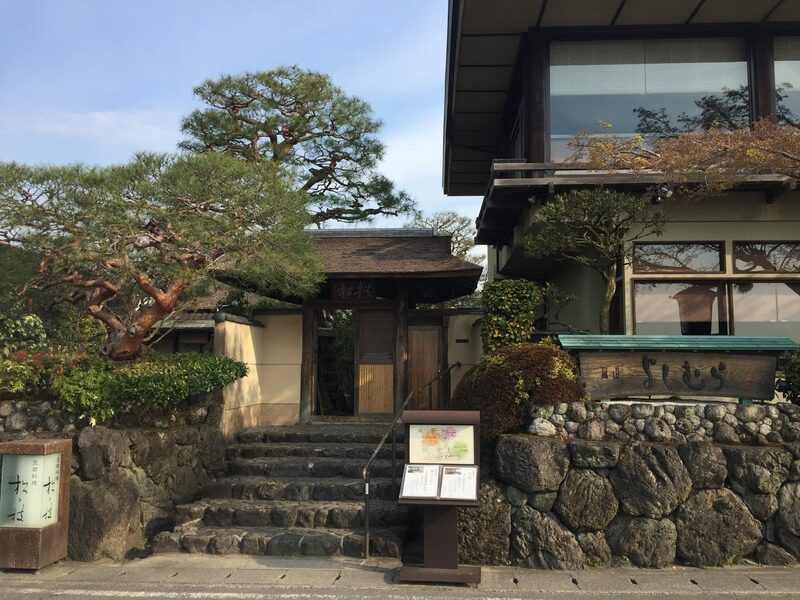 Shoraian is a kaiseki restaurant which is located on a hillside above the Katsura river in Arashiyama. It is a bit hard to find here because it’s located deep in the forest. The restaurant is surrounded by nature,you can feel the changes the season of Arashiyama throughout the year. They serve Tofu Kaiseki dishes between 3,800 yen and 10,000 yen. I recommend Shofu set(5,800 yen) which includes Yudofu (tofu cooked in a seaweed stock) and a wagyu steak.You can have a refill of the Yudofu. Every dishes is presented very beautifully, and the tastes is really good. The view overlooking the forest and Katsura river is great which makes the dishes even more special. It’s the best restaurant if you want to have a traditional Kaiseki dishes with a beautiful scenery of Arashiyama. Be sure to make a reservation in advance. ※They do not admit the guests who are under the age of 13. Otsuka is a famous restaurant in Arashiyama where serve the delicious beef steaks. It used to a small restaurant where only few people knew it. However, its reputation was gradually spreading among visitors and gourmets and now this restaurant established No.1 award of the popular restaurants among foreign customers. There are plenty of menu options for lunch which cost relatively reasonable. It costs between 1000 yen and 6,000 yen. They serve the Murasawa gyu which has the greatest A5 beef grade in Japan and you can enjoy only this restaurant. Murasawa gyu is produced in Nagano prefecture and only about 80 beef is shipped a per year. Therefore it is called “Legendary beef”. The steak is served without a knife because you can cut it with chopsticks. The beef is so tender and it really melts in your mouth. The white marble beef tastes very sweet and juicy. If you are a meat lover, It’s definitely worth trying! They are only open during a lunch time for 4 hours so make sure you go early and get on the waiting list. Hirokawa is a popular Unagi restaurant located in Arashiyama area. Here, you would really understand how Japanese restaurants consider setting the appropriate atmosphere as a part of Japanese culinary experience. The beautiful wooden architecture as well as the Japanese garden inside are so inviting to have an authentic Japanese meal. Known to be one of the best in the region, the restaurant is so popular, you might have to wait for a while to be seated. The tender eel with mouthwatering sauce is worth the wait. Beside unajyu, unadon or kabayaki, you might want to try kimo (liver of eel either in sauce or grilled) or go for a set menu that you can experience various dishes of unagi. 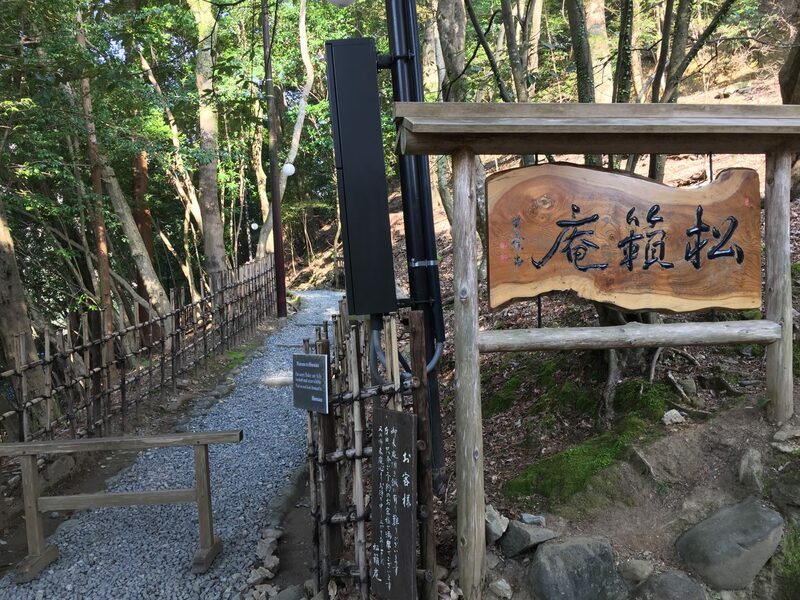 Hirokawa is conveniently located near Togetsukyo-bridge in Arashiyama, so perfect to stop by while you explore the beautiful sceneries of Arashiyama. They only accept limited number of customers per day,so it’s better make to make reservations in advance,or go early and secure a table. You can make the reservation in advance by paying 1,000 yen as a reservation fee. Arashiyama Yoshimura is very famous Japanese soba( Japanese brown noodles made from buckwheat flour)restaurant where we can enjoy the beautiful scenery of Togetsu bridge. Must-Try menu is “Togetsuzen/渡月膳(1,880 yen)” which includes soba,tempura don and Kyo-tsukemono(Kyoto-style pickles). You can enjoy smooth and al dente texture Japanese soba and crispy fresh tempura. It’s great to have tasty soba overlooking the view of Katsura river. 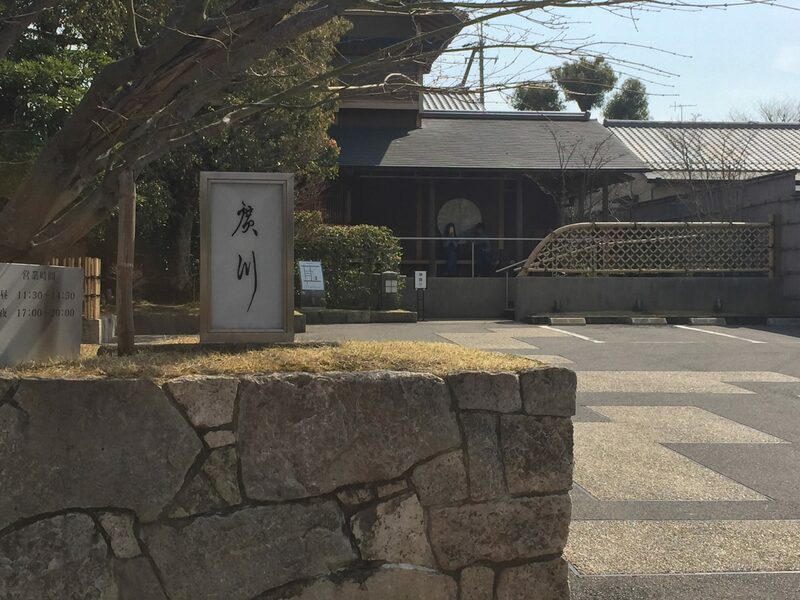 If you are soba lover, Arashiyama Yoshimura is a Must-Try restaurant. Yudofu Sagano is located close to Tenryuji-temple,20 minutes walk from Hankyu Arashiyama station. Yudofu Sagano is famous for tofu dishes in Arasihayama. They offer lunch Kaiseki set menu for only 3,800 yen per person.The set menu come with 10 different side dishes ranging from yudofu to tempura. The fresh yutofu is so soft which melt in your mouth. They have traditional Japanese garden where you can enjoy the change of season of Arashiyama. It’s great to have Yutofu Kaiseki dishes overlooking the beautiful garden in a calm relaxed atmosphere. In spring you can see the cherry blossoms while autumn offers the chance to see the autumn leaves from the window. 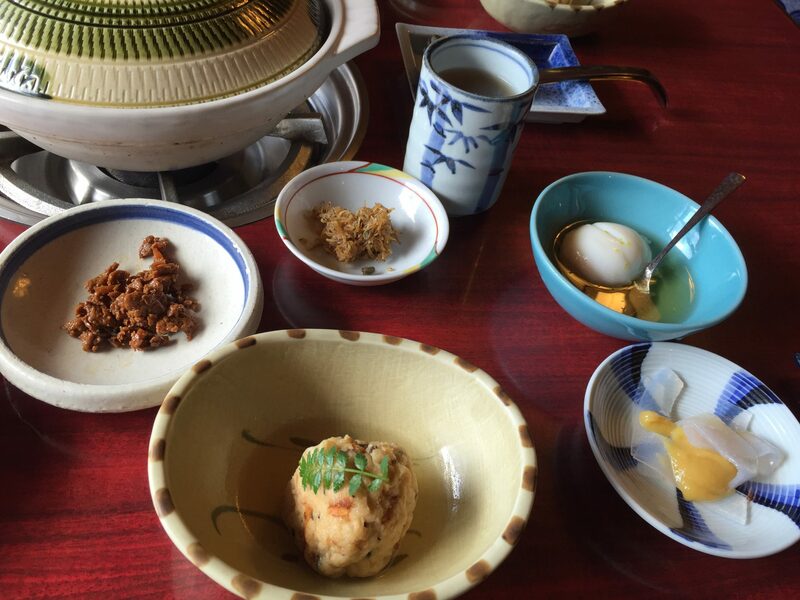 If you want to have a great tofu dining experience in Arashiyama,you should try Yudofu Sagano! I hope you’ll have a great dining experience in Arashiyama! Best food tour in Kyoto at night. Explore the authentic local restaurants and taverns in Gion at night with a friend local guide. Taste Kyoto's finest dishes! Local Guide:Nishiki Market in Kyoto!Top 5 Must Eat Foods and restaurant Local tells Top 10 Must-Eat traditional sweets ranking in Kyoto! Local tells Top 5 best Sukiyaki restaurants in Kyoto! Local tells Top 5 best Tonkatsu restaurants in Kyoto! Local tells Top 5 Cooking Classes in Kyoto! Experience Japanese cooking! Local tells Top 7 Tofu Restaurants in Kyoto!From high-end to casual! Local tells Top 5 best Italian Restaurants in Kyoto!Have a great Italian Experience! Local tells Top 5 best French restaurants in Kyoto!Enjoy Kyoto-style French! hi, if im intending to do the Yudofu Sagano for dinner around 6pm. Would you know if i need to do any reservations? If im doing yodofu for dinner, what would you recommend for lunch at Arashiyama? i would be spending a full day at Arashiyama, reaching there early in the morning from Kyoto area and leaving after dinner. They don’t accept reservations. Please see the link below for more details. I recommend wagyu lunch set at Otsuka.Don’t forget to put your name on the waiting list in the morning if you go there.